Oldhamite: Mineral information, data and localities. 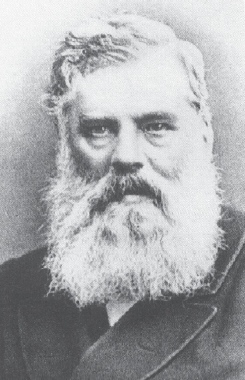 Named after Thomas Oldham (4 May 1816, Dublin – 17 July 1878, Rugby), Director of the Indian Geological Survey (1850-1876). 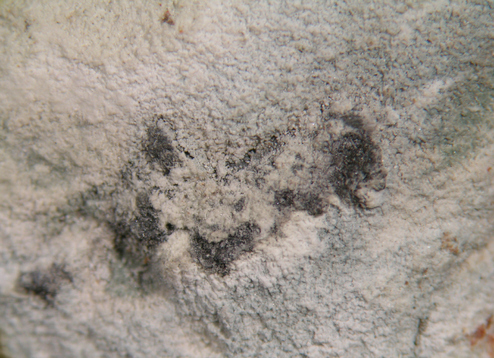 Terrestrial oldhamite is associated with pyrometamorpism (especially with coal fires). Quite unstable in air: hydrolysis makes it pass into portlandite. Also occurs in anthropogenic blast furnace slag. As such, it may accumulate as much as 25 wt.% Mn and 8 wt.% K (Grapes, 2006). The Natural History Museum, London, England, 32100. Shulamitite 5 photos of Oldhamite associated with Shulamitite on mindat.org. Fluorkyuygenite 5 photos of Oldhamite associated with Fluorkyuygenite on mindat.org. Larnite 5 photos of Oldhamite associated with Larnite on mindat.org. Periclase 4 photos of Oldhamite associated with Periclase on mindat.org. Fluorite 3 photos of Oldhamite associated with Fluorite on mindat.org. Cuspidine 3 photos of Oldhamite associated with Cuspidine on mindat.org. Thaumasite 3 photos of Oldhamite associated with Thaumasite on mindat.org. Portlandite 3 photos of Oldhamite associated with Portlandite on mindat.org. Spurrite 3 photos of Oldhamite associated with Spurrite on mindat.org. Bazhenovite 1 photo of Oldhamite associated with Bazhenovite on mindat.org. Palache, Charles, Harry Berman & Clifford Frondel (1944), The System of Mineralogy of James Dwight Dana and Edward Salisbury Dana Yale University 1837-1892, Volume I: Elements, Sulfides, Sulfosalts, Oxides. John Wiley and Sons, Inc., New York. 7th edition, revised and enlarged, 834pp. : 208-209. Binns, R.A. (1969): Oldhamite from the Hvittis meteorite. Mineralogical Magazine 37, 144-145. Lapis (1998): 23: 7-8, 32. Peterson, Karl W.; Hammerling, Dorit M.; Sutter, Lawrence L.; VanDam, Tom J.; Dewey, George R. (1999): Oldhamite: not just in meteorites. Proceedings of the International Conference on Cement Microscopy 21st, 394-405. Grapes, R.H. (2006): Pyrometamorphism. Springer Verlag, Berlin, Heidelberg. Alderman, A. R. (1940) A siderolite from Pinnaroo, South Australia. Transactions Royal Society South Australia. 64: 109-113. Binns, R.A. (1969): Oldhamite from the Hvittis meteorite. 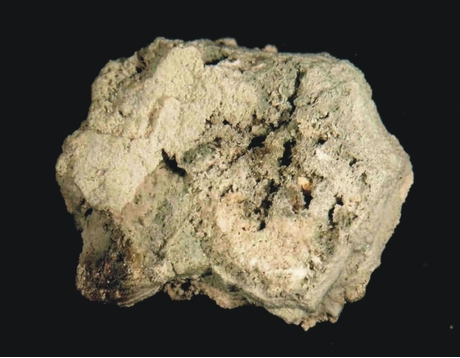 Mineralogical Magazine 37, 144-145.; Ramdohr, P. 1973. the opaque Minerals in Stony Meteorites. Elsevier publishin Company, Amsterdam, sivut 82 ja 90.; Kinsey, L. K., McCoy, T. J., Keil, K., Bogard, D. D., Garrison, D. H., Kehm, K., ... & Casanova, I. (1995, March). Petrology, chemistry and chronology of an impact-melt clast in the Hvittis EL6 chondrite. In Lunar and Planetary Science Conference (Vol. 26). Bhandari, N., Gopalan, K., & Rao, M. N. (1975). Exposure and formation history of the Parsa meteorite based on fossil track and rare gas studies. Meteoritics, 10, 362. Hey, M. H. & Easton, A. J. in Geochimica et Cosmochimica Acta 31(10):1789-1790 (1967); Watters, T. R. & Prinz, M (1979) Aubrites - Their origin and relationship to enstatite chondrites. In: Lunar and Planetary Science Conference, 10th, Houston, Tex., March 19-23, 1979, Proceedings. Volume 1. (A80-23557 08-91) New York, Pergamon Press, Inc., 1979, p. 1073-1093. Ahmed El Goresy, Y. Lin, L. Feng, M. Boyet, J. Hao, J. Zhang & L. Dubrovinsky (2012). Almahata Sitta EL-3 Chondrites: Sinoite, Graphite, and Oldhamite (CsS) Assemblages C- and N-Isotopic Compositions and REE Patterns. 75th Annual Meeting of the Meteoritical Society, held August 12-17, 2012 in Cairns, Australia. Published in Meteoritics and Planetary Science Supplement, id.5108. ( Sept2012). Lunar and Planetary Science XXXII (2001); Okada, A., Keil, K., Leonard, B. F., & Hutcheon, I. D. (1984). Schöllhornite, Na0. 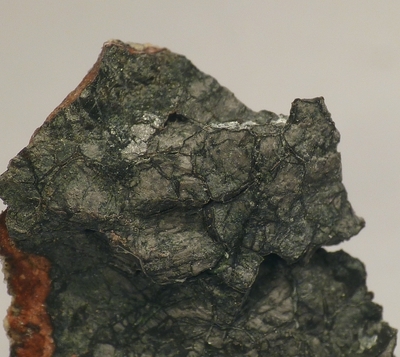 3 (H2O) 1 [CrS2] a New Mineral in the Norton County Enstatite Achondrite. Meteoritics, 19, 284. Katherina Lodders, Herbert Palme & Frank Wlotzka. (1993). Trace elements in mineral separates of the Pena Blanca Spring aubrite - Implications for the evolution of the aubrite parent body. Meteoritics 28, #4, 538-551.